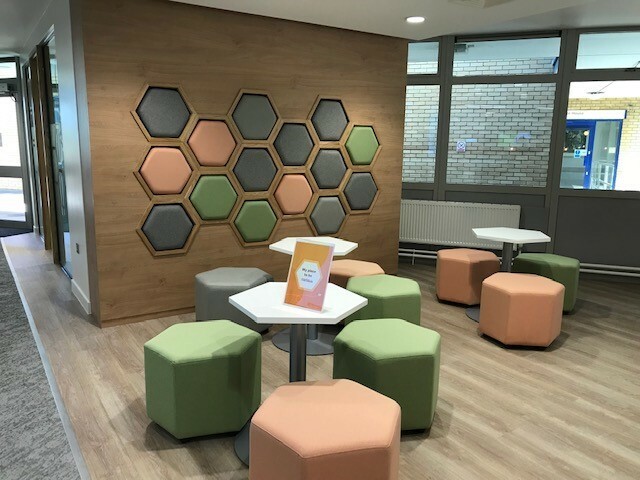 MySurrey Hive is a new social and study space in the centre of campus which was developed with students at the heart of it all. It is open 8.30am – 11.30pm every day and is open to all students, no matter the level of study. 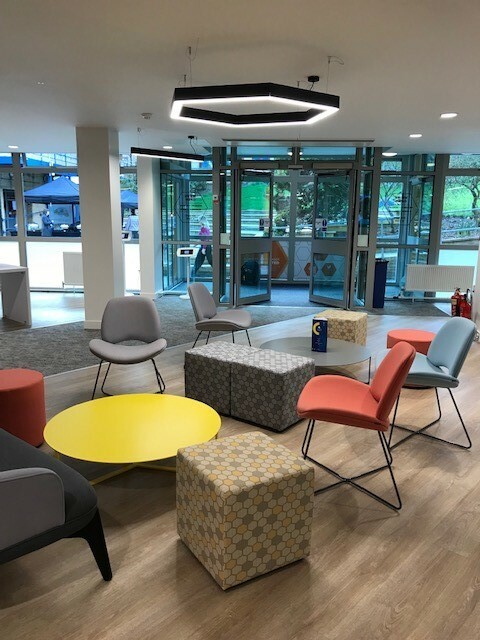 This new area gives both undergraduate and postgraduate students a chance to catch-up with friends and relax, study individually or in group work, but also provide student support to everyone. Based in the central location, opposite the amphitheatre and just down from the library. MySurrey Hive is a central location for all student service queries. With staff available in the Hive to offer student-life support, students can get aid on topics such as finance, accommodation, careers and employability, transport and visa enquiries. MySurrey Hive is a light and airy space full of various seating arrangements with sofas, booths and table arrangements. 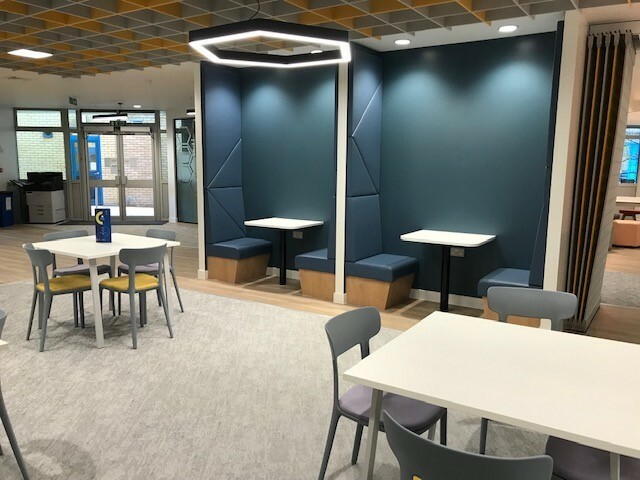 There are many tables and chairs with plugs and USB ports located next to the seating areas so students can bring their laptops and devices for individual and group work study. There are also private rooms which can be booked, which are ideal for studying or private meetings. The Hive also boasts of a presentation area which can be booked. This means students can prepare for assessments and presentations as if it were the real thing. Throughout the Hive iPads are dotted around with university pages so booking onto a gym class at SSP, or checking MySurrey is easy to do. Additionally, there is a food prep area with a microwave and hot water tap. MySurrey Hive has some great features, but remember the Hive is also there for you if you need support, whatever the question or problem.